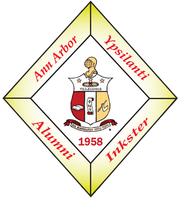 Friends, family, everyone…you’re invited to come out and enjoy some wings with the lovely Silhouettes of the Ann Arbor-Ypsilanti-Inkster Alumni and the Kappas. Over many years, the Silhouettes have assisted us in providing scholarships for our youth. The Silhouettes are sponsoring another Buffalo Wild Wings restaurant fundraiser on May 18, 2018, 216 James L Hart Pkwy #1, Ypsilanti, MI 48197. The attached flyer must be shown [electronically or via hardcopy] to secure 20% of both dine-in and carryout sales. If the total sales of our group reach $2,000 for the day, BWW will return 25%; and at $3,000 in total sales, they will return 30%! 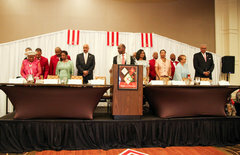 The proceeds will help to support our contribution to the Kappa scholarship fund. As in the past, we will have a reserved area from 5 PM until close. Attend between the hours of 2 to 6 PM for Happy Hour specials. Show your support of the AAYI Kappa Chapter by attending this event and sharing the flyer to help the Silhouettes achieve our goal of making this event a huge success.